You’ve been dreaming about Australia vacations for some time, and now you have finally decided to make that trip happen. 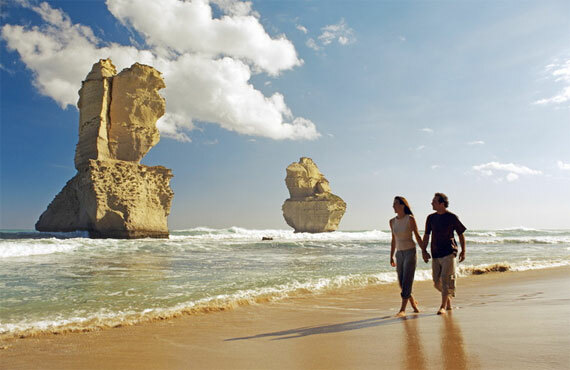 There are so many things to see and do in Australia, and the diverse terrain that stretches from pristine beaches to the vast Outback ensures you will never have a dull day. Let us help you pick just the right combinations of places to stay and things to do. We’ll customize your perfect travel package so you’ll have the most unforgettable vacation ever. 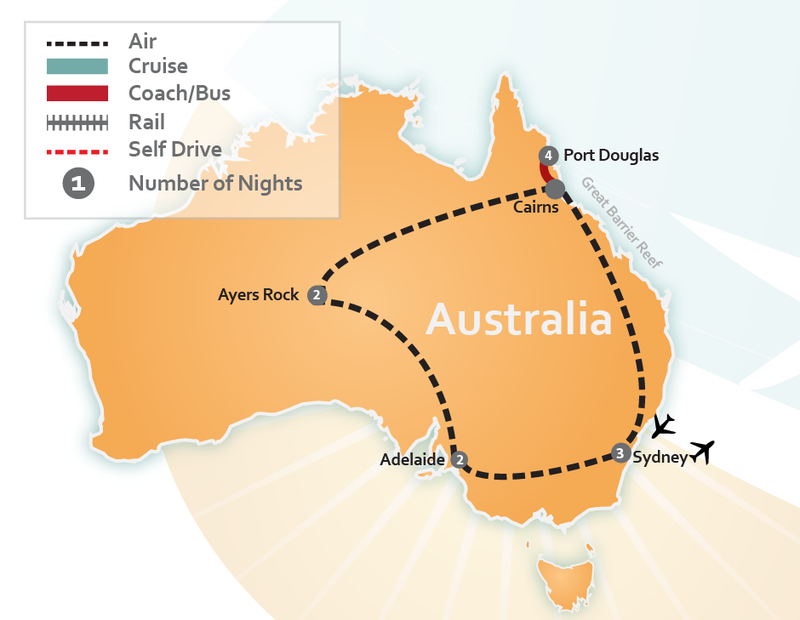 Call us – we can’t wait to help you plan your Australia Vacation! For those who love adventure maybe a walk through one of our stunning world heritage listed rainforests is for you? Or maybe scuba diving Australia’s Great Barrier Reef forms part of your perfect Australia vacation. Full of energy and want to try your hand at surfing, snorkeling or paddling some of Australia’s most beautiful beaches? We can tell you where! And if you are a Golfer, be delighted to know that six of the world’s best golf courses are located in Australia. Maybe fishing is your game, if so there are many charters ready to take you out to catch that big one. We know the spots where you should visit – just ask us! Animal lovers will delight in the variety of unusual critters that inhabit Australia and nowhere else in the world. Some animal sanctuaries allow you to get your photo taken while cuddling a koala, or hand feeding a kangaroo. Or if you prefer, we’ll send you to places where you can see them in the wild. Bird watchers will have a great time with colorful Lorikeets or the penguins that parade nightly at Phillip Island. Culture and arts abound at the Sydney Opera House perched at the edge of the Sydney Harbor in the shadow of the famed bridge. 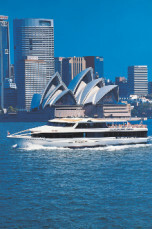 Australia vacations give you the opportunity to take in the unique architecture found in the cities. Sydney has street vendors at open-air markets selling local crafts and street food. You can stroll by while watching dancers and musicians perform. Food and wine lovers will delight at the opportunities throughout the country to sample cheeses and wines that most of the world has yet to discover. Romantics looking for a special anniversary or newlyweds planning an escape for their honeymoon can find just what they want by talking to our experts about their trip. We can help plan the most unforgettable vacation for you with lodging anywhere from a hotel in the heart of the city to a private resort on one of the small islands ringing the nation. 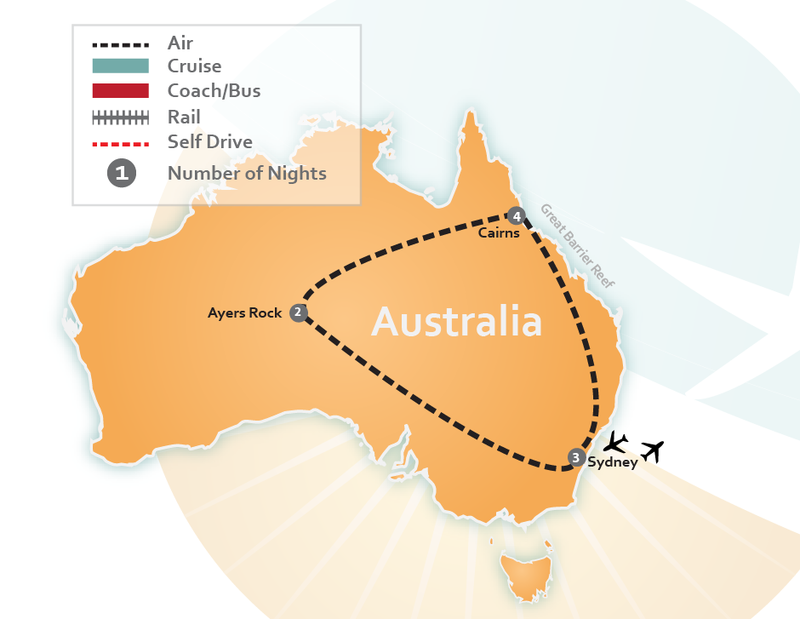 Browse our itineraries of popular Australia Vacations or let us help you customize your own! 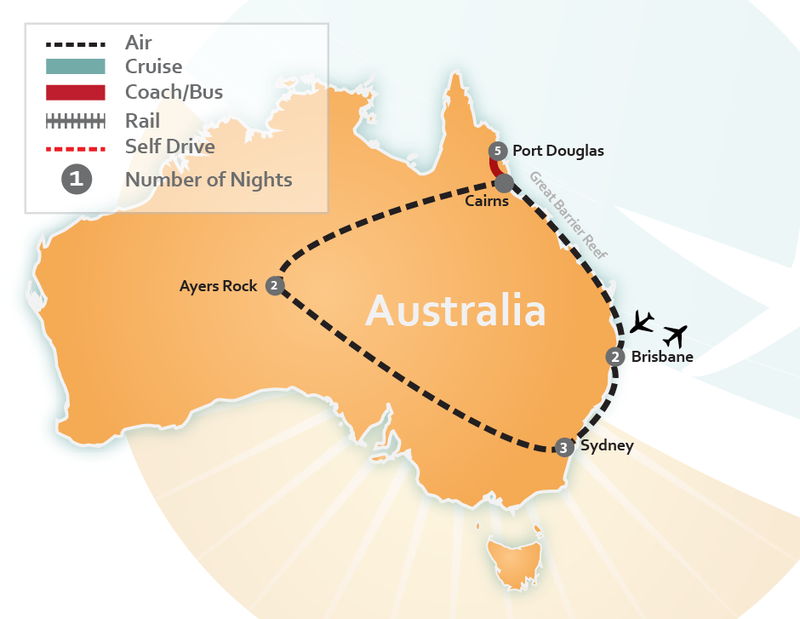 Phone us – we can’t wait to help you plan your Australia Vacation!